Executive action was taken on a bill that would allow teens 16 and 17 to preregister to vote while applying for their driver’s license at the Department of Licensing (DOL). The proposed legislation passed out of committee on a 6-5 vote. House Bill 1279, termed the Young Voter Registration Equality Act, would help engage high school students and soon-to-be adults in the political process declared prime-sponsor Rep. Steve Bergquist (D-11th District, Renton). It would also increase accessibility to voter registration, he stated. “It’s important to have voter access opportunities,” said Bergquist. But Rep. Vincent Buys (R-42nd District, Lynden) claimed that the bill is not a matter of access since Washington provides online voter registration. During testimony on the bill last week, Bergquist invited two of his former students to speak in support of the measure. One of whom, Monica Mendoza-Castrejon, now a freshman at the University of Washington, spoke on behalf of The Washington Bus and OneAmerica telling legislators that motor voter registration would likely inspire civic participation in high school students and increase voter turnout. “It would increase the chances of and likelihood of many more youth to vote in our next election cycle,” she said. Supporters of the bill said its passage was important to upholding democratic standards. Many concerns, however, were expressed. Buys noted that technical glitches could allow ballots to be sent to preregistered, non-eligible voters. Katie Blinn of the Secretary of State’s office said that while these types of problems can be addressed withadvanced technology, a fair share of human input is needed to process the computer program, increasing the risk of non-eligible persons receiving a ballot. And with the need for more personnel or an increase in man hours comes a higher price tag. Others are concerned about the mobility of 18-year-olds and the cost of sending voters’ pamphlets and ballots to persons who no longer live at the same residence when they registered at ages 16 or 17. While 16- and 17-year-olds are among the most stable in terms of moving trends, 18- to 24-year-olds are the most mobile. Bergquist stated, however, that a majority of his 12th-grade students are 18 during an election cycle and, therefore, eligible to vote. There are also questions about whether preregistration would actually increase voter turnout among young adults. For the national election that took place this past November, 49 percent of youth (ages 18 to 29) voted country-wide. In Washington, about 80 percent of registered youth turned out. In a 2010 analysis provided by a George Mason University (GMU) professor and a GMU Ph.D. candidate, preregistration would lead to an increase in youth voting because candidates would target young adults more due to the increased number who register compared to the total number of registered voters. In spite of the concerns with the legislation, arguments made against the bill irritated Rep. Reuven Carlyle (D-36th District, Seattle). “It’s incredibly hard for me to feel anything other than a sense of frustration that we are seemingly afraid of a wave of young people charging into our electoral system,” he said. Blinn maintained that the Secretary of State’s office is concerned about increased costs this bill could bring. She urged that if the bill passes, lawmakers also provide appropriate funding for the program. There would be no cost to the internal functioning of the Secretary of State’s office or DOL, but counties may have to modify their voter registration management system for preregistered teens, which could accrue additional costs. Eight other states and the District of Columbia have similar laws that provide people at least 16 years of age to preregister to vote. 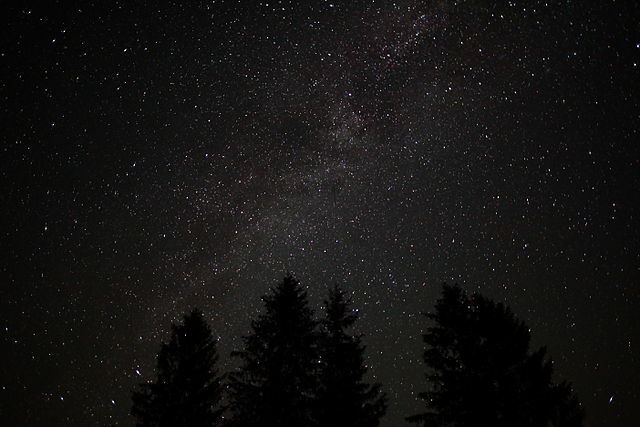 Even with our cloudy skies and immense light pollution, there is hope for skygazing in West Seattle. As with everything, what you need is to be ready to take advantage of opportunities when they arise. I’m here to offer some suggestions for what to do with those opportunities. The easy part is to not forget to look up. It is easy for us to bend our heads towards the ground all the time: reading our phones, the news, and watching to make sure we don’t step in puddles. When you get out of the car or off the bus, take a second to turn your face up to the sky. Just before you go to bed, as you’re locking up, glance out the window, or step out for a moment, and see what’s up there. Beyond that, the winter skies can be truly beautiful. There are many extremely bright stars, and recognizable constellations like Orion are high in the sky and up most of the night. The cold air of winter is also more still than the warm, roiling air of summer. This makes the stars appear more crisp. In astronomical parlance this is called “good seeing.” When it is clear out these situations together make the night sky breathtaking, even from the city. Yellow dots circle about the woman, framing her against a murky background. Her arms rest idly by her sides as she gazes askance. The portrait “Grandmother,” by artist Hulleah Tsinhnahjinnie (a member of the Seminole, Muscogee, and Diné tribes), is one of many pieces created by well-known Native American artists featured on public health posters throughout the nation. 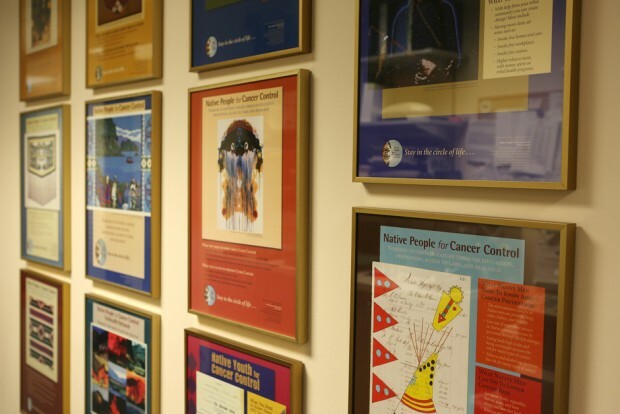 The posters are part of a campaign by Native People for Cancer Control, based at the University of Washington, to raise cancer awareness and promote cancer-preventive measures to decrease health disparities in the Native community. By leveraging the appeal of art, a traditional tool for learning, the group hopes that the Native Art for Cancer Project will close what has been a persistent gap in public health. “It’s a great way to start the conversation on cancer topics,” said Carrie Nass, program director for Partnerships for Native Health (PNH). To date, more than 7,000 of the posters have been distributed nationally. The posters feature basic information on cancer and its simple preventive measures like screenings, vaccination, and leading a healthy lifestyle. Well-known Native artists who work in a variety of mediums including beadwork, photography, oil painting, drawing, and weaving have contributed their artwork. The oldest known piece of Native art — a bone carving of a mammoth or mastodon — dates back 13,000 years. Since then, Native art has come to include both traditional and western elements. Beadwork incorporates western glass and ceramic beads and in the past two centuries, a new branch of Native art developed through photography. Many branches of Native art have traditionally included a functional element — baskets to hold belongings or blankets to keep people warm. By using artwork to promote public health, the Native Art for Cancer Project continues this tradition of functionality. The project is part of PNH, a program that addresses a wide variety of public health issues in the Native community. PNH began around 12 years ago and was formalized in 2009. PNH also utilizes art as an interactive tool to raise awareness of public health issues through the Native Comic Book Project. The project teaches youth through comic books. “To solve health disparities, you have to start with the kids,” said Corinna Tordillos (Northern Cheyenne and Tlingit), a senior majoring in biochemistry and American Indian studies who has been involved with PNH as a student assistant and as a researcher since her freshman year. By actively engaging the students in the learning process, the project aligns itself with a traditional Native way of learning, thus increasing its effectiveness, said Robyn Pebeahsy (Yakama and Comanche), research assistant for the Native Comic Book Project. The Native Art for Cancer Project started a decade ago by Steve Charles (Tlingit and Haida), former research coordinator for the Native Art for Cancer Control. “I felt that bringing posters to communities with compelling art would draw viewers to contemplate the art but, more importantly, to also think about the cancer facts on each poster,” Charles said. He left his position as curator of Sacred Circle Gallery of American Indian Art, at that time one of the nation’s preeminent Native art galleries, to spearhead the project. In addition to the Native Art for Cancer Project, PNH oversees nearly two dozen research projects that address a wide variety of public health issues including cardiovascular disease, cancer, and women’s health. Throughout a nine-state region that spans north to Alaska, down to Oregon, and into the Rocky Mountain states, PNH seeks to facilitate culturally-sensitive outreach, training, and research programs. This involves ensuring that information is framed in an accurate and culturally-aware way “that respects the needs of native people and tribal sovereignty,” said Abigail Echo-Hawk (Pawnee), a tribal liaison with the Institute of Translational Health Sciences. PNH grew from a need both to address the health disparities between the target communities and the wider public and do so in a culturally sensitive manner. This need is what prompted the initiation of the Native Art for Cancer Project. The Native community suffers from higher incidences of and death rates from certain types of cancers. Finding a solution to the disparity involves more than public outreach, however. Additional research must be done. But research conducted as it has been in the past can do more harm than good, Echo-Hawk said. Echo-Hawk said the harmful research studies experienced by the Havasupai Indians inspired her to work for PNH. In the 1990s, the Havasupai of Arizona gave blood samples to researchers at Arizona State University, believing that the blood samples would be used specifically for research into diabetes, a condition that plagued the community. However, the blood samples were then used for a series of studies that stigmatized the community — such as studies on the incidence of schizophrenia and inbreeding in the community — and contradicted their religious beliefs. One study traced the Havasupi back to Asia even though their creation story tells that they originated in the Grand Canyon. Through her work at PNH, Echo-Hawk seeks to prevent similarly hurtful experiences.